Another installment of the Father’s Day Gift Guide! The goal is for you to be able to find something a little bit better than the standard tie or cuff links. In addition to my daily guide, check out my cousin’s Father’s Day Guide in USA Today. She’s got some great picks. Today I’m talking shoes because you can always upgrade a guys shoes. 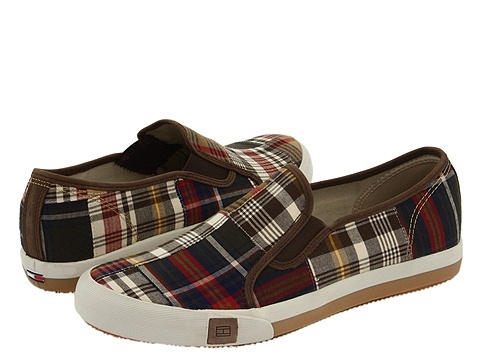 If your husband or Dad is a preppy kind of guy, or just cool enough to do something different I’d suggest the Tommy Hilfiger Duxbury slip-on. This is a versatile madras print in tones of khaki, brick red and navy. The slip on style is fabulous for throwing on during the summer time and wouldn’t he be so cute in a pair of khaki shorts with these on? 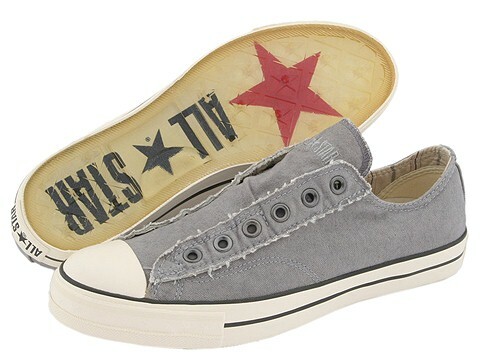 If madras prints aren’t his thing, try the Converse® by John Varvatos Chuck Taylor Vintage Court . An updated twist to a classic sneaker. Both options make Dad’s weekend staples seem just a bit cooler and that’s always a great gift. If I had the budget to give my dad the best 50 inch TV, I would, he sighed when he walked past it in the store… But not this year, this year shoes! ← 25% Off at MAC Cosmetics!